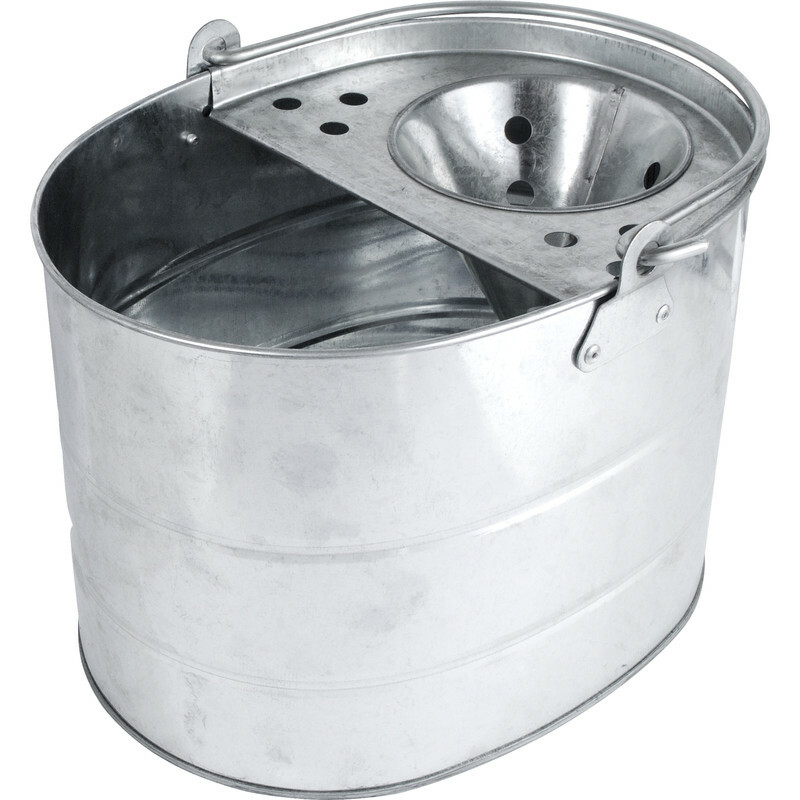 Galvanised Metal Mop Bucket 10L is rated 4.3 out of 5 by 9. Rated 4 out of 5 by EXTREMEDIYer from Good bucket Better than plastic mop buckets that just break with a few uses. Glad I bought a second bucket. Bought one of these 2 years ago and it that gets left outside and wet and it's only just got a slight bit of rust starting, so I am happy enough considering the price. Rated 5 out of 5 by Madmikebraw2018 from Solid Better than the plastic c**p from supermarkets, does not look pretty, but then your mopping floors so function over form! Rated 4 out of 5 by TheChickenStudio from Sturdy bucket Very serviceable bucket, though I agree with a previous reviewer that the mop funnel is too small, otherwise would have given five stars. Rated 3 out of 5 by Azzzaoo6 from Galv/bucket Good solid bucket however the draining funnel is too small for mop head and water overflows around edge . Rated 3 out of 5 by Yoma 15 from Just a metal mop bucket First one came minus handle. Replacement was out of shape, handle brackets twisted. However, I put the handle from second bucket onto first bucket, voila! One sound bucket. 3 stars only because my cotton head mop is too large to squeeze properly in rather small drainage hole. Top marks to toolstation though, for fast, free delivery of both buckets. I have never had any problem if products haven't been to my satisfaction . Rated 5 out of 5 by sajs from strong mop bucket great mop bucket not like plastic one that break after few uses, this is worth the extra few pounds.